Pets ads in Sydney. Thank you for visiting our free advertising website Pets, Sydney section. We provide high response free classifieds and free advertisement. Use our online free Pets classifieds placement system to find, list, offer Pets online! 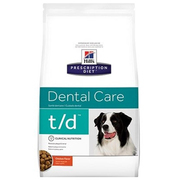 Hill's t/d Canine Dental Health Dog Food is a unique kibble form food for dog’s optimal dental health. The key ingredients help to reduce plaque and tartar buildup in the mouth. It prevents teeth staining and stops bad breath. To know more about the product and offers please check this link below https://www. 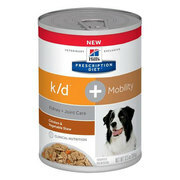 Hill's Prescription Diet k/d + Mobility Canine is a clinically proven nutrition that can transform your dog’s life. Enriched with essential ingredients, this highly palatable diet helps build strong muscle protein and improves joint function. Furthermore, it protects vital kidney and supports proper heart function. 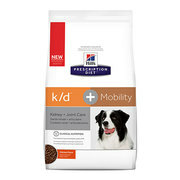 Hill's Prescription Diet k/d Kidney Care + Mobility chicken and vegetable stew Dog Wet Food is a specially designed diet to support and improve kidney and joint care in dogs. CKD is a condition that according to researches 1 out of 10 dogs will develop in their old age.. 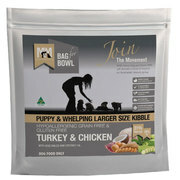 Meals for Mutts Hypoallergenic Grain Free Gluten Free Turkey & Chicken Formula with vegetables and coconut oil Large Size Kibble is specially formulated for puppy and whelping dogs. The natural diet meets the daily nutrient requirements of puppy and whelping dog. Made with natural ingredients, it improves immunity and acts as antioxidants. 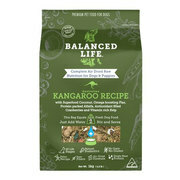 Balanced Life Enhanced Dry Food with Kangaroo Meat Pieces is delicious grain free diet for dogs. Enhanced with rich nutrients and high protein, this highly palatable diet is the perfect meal for your canine. It assists dogs with allergies and sensitive skin. Furthermore, the omega 3 and 6 oils, present in the diet helps in boosting the overall health. Hill’s Science Diet Mature Adult Active Longevity Original Feline Dry Food has been developed to keep your older cat stay healthy on the inside and looking great from the outside. This dry food has everything required by a mature adult cat to stay fit, healthy and full of vitality. To know more about the product and offers please check this link below https://www. 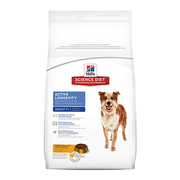 Hill’s Science Diet Mature Adult Active Longevity Canine Dry Food has been specifically formulated to assist in keeping mature adult dogs feel healthy. This dry food comprises of a combination of key ingredients like glucosamine, chondroitin sulfate and antioxidants for balanced nutrition.. 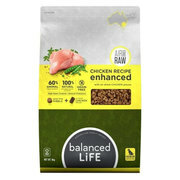 Balanced Life Enhanced Dry Food with Chicken Meat Pieces is Australia’s first grain free dog food with air dried raw meat pieces. A delicious, high-protein complete balanced diet is the ideal meal for dogs. To know more about the product and offers please check this link below https://www.vetsupply. 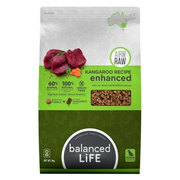 Balanced life dry dog food kangaroo food contains ample amount of Australian kangaroo and superfoods like cranberries, alfalfa, coconut, and kelp. The tasty diet is grain free, fillers free and artificial flavour free. Vitamin and mineral rich diet is entirely natural, healthy and filled with Australian ingredients. Balanced Life Dry Dog Food Chicken is a raw, single meat high protein diet that has balance of nutrients for complete nourishment of dogs. Made from a combination of natural raw ingredients this natural diet satiates the requirement of organ meat, vegetable matter, bones and muscle meat which forms the staple of canines. Balanced Life Dog Treats Salmon is a healthy, mouth-watering meaty treats for everyday casual feeding. Enriched with natural vitamins, minerals and trace elements, these meat-flavoured treats are highly digestible and provide excellent nutrition to your dog. To know more about the product and offers please check this link below https://www. 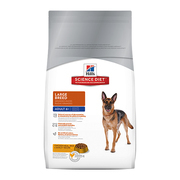 Hill’s Science Diet Mature Adult Large Breed Canine Dry Food has been developed to meet the requirements of mature adult large breed dogs. The precisely balanced nutrition in the dry food assists in sustaining mobility and ideal body weight in adult large breed dogs. To know more about the product and offers please check this link below https://www. 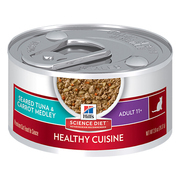 Hill's Science Diet Adult 11+ Healthy Cuisine Seared Tuna & Carrot Medley is a promising product of Hill’s science diet with assured safety and good taste. Canned packages keep the food item fresh and easy to use. Perfect blend of vegetables and morsels makes it a complete cat’s food. To know more about the product and offers please check this link below https://www. 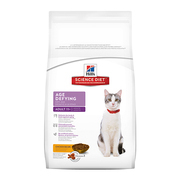 Hill’s Science Diet Feline Senior 11+ Age Defying Chicken Dry Food has been designed with the sole intention of keeping your senior cat in fine working condition.It also consists of high-quality chicken protein with excellent chicken and no chicken by-product meal. To know more about the product and offers please check this link below https://www. 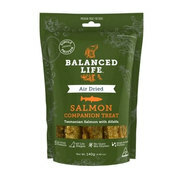 Balanced Life Dog Treats Salmon is a tasty, healthy, and full of meat treat for everyday casual feeding. The natural vitamins, minerals and trace elements present in these meat-flavored treats are highly digestible because of the air-dried preparation, thus providing excellent nutrition to your dog. To know more about the product and offers please check this link below https://www. Balanced Life Dog Treats Kangaroo are scrumptious raw, meaty, air dried treats. The meat is highly digestible, enriched with natural vitamins and minerals with equally great flavour. Alfafa provides the richness of biotin, calcium, folic acid, magnesium, potassium and vitamins. To know more about the product and offers please check this link below https://www. Balanced Life Dog Treat Chicken is a composition of multiple proteins sourced from chicken meat, liver, kidney and heart. This high protein diet is fortified with vitamins A, C, K and minerals like magnesium, iron and calcium to provide a complete balance of nutrients in dogs. To know more about the product and offers please check this link below https://www. This Easter, VetSupply is coming up with an exclusive range of Combo offers that not only assures double benefit for your furry pal but also has great value for your pocket. Read our blog, check link https://www.vetsupply.com.au/blog/vetsupply-easter-sale-best-deals-free-shipping-more-discounts/. 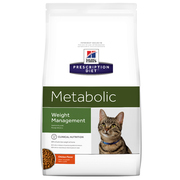 Hill’s Prescription Diet Feline Metabolic Weight Management with Chicken Dry Food is an out-of-the-box weight management diet that enhances weight programme success. 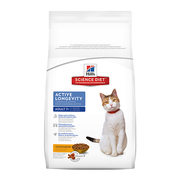 To know more about the product and offers please check this link below https://www.discountpetcare.com.au/cat-food/hills-prescription-diet-feline-metabolic-weight-management-with-chicken-dry/pet-foods-1652. 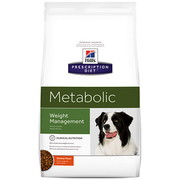 Hill’s Prescription Diet Canine Metabolic Weight Management with Chicken Dry Food has been specifically developed to make the obese dogs lose weight naturally. It has been clinically proven that giving this food on a regular basis can result in 28% body fat loss in dogs within two months. To know more about the product and offers please check this link below https://www. 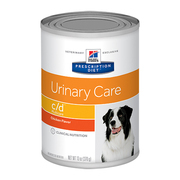 Hill’s Prescription Diet c/d Canine Urinary Tract Health Cans contains specially formulated blend of nutrients and vitamins necessary for the providing complete nutrition to your pooch. It is an ideal meal for dogs with bladder functioning problems To know more about the product and offers please check this link below https://www. 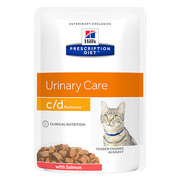 Hill's Prescription Diet c/d Multicare Tender Chunks in Gravy with Chicken Cat Wet Pouch is a special diet for cats with urinary stone problems. The wet diet helps to reduce the formation of struvite stones in cats. To know more about the product and offers please check this link below https://www. 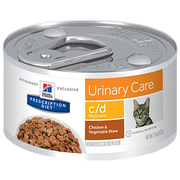 Hill’s Prescription Diet c/d Multicare with Chicken Feline Cans have been developed to provide requisite nutrition to cats suffering from bladder stones. It has been observed that excessive minerals can lead to formation of crystals in urine which may lead to formation of bladder stones in cats. To know more about the product and offers please check this link below https://www. 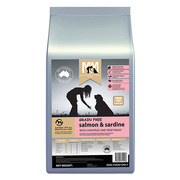 Meals for Mutts Hypoallergenic Grain Free Gluten Free Salmon and Sardine is an excellent diet for dogs. It provides support to major organ system of dogs. The holistic diet supports proper brain function, cardiovascular health, teeth, skin and coat. It contains natural sources of omega 3 that aids immune system of dogs and hormonal systems in their body. Meals for Mutts Tripe Treats for Dogs is the best supplement compared to other processed treats. 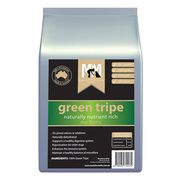 Made from 100% green tripe, it is naturally rich in nutrients. These natural treats are highly useful for rejuvenating and improving immune system that older dogs require. It aids to maintain the healthy microflora and supports healthy digestive system. 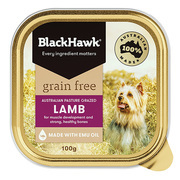 Black Hawk Grain Free Lamb wet canned food for adult dogs is a complete diet that is specially formulated for dogs with dietary allergies. It is a complete meal, enriched with vitamins and minerals, for dogs. It supports digestion and improves overall health. Free from grains, the wet diet is highly beneficial for dogs sensitive to grains. Hill’s Prescription Diet c/d Feline Multicare Urinary Care with Chicken Dry Food is a nutrition-rich diet comprising of antioxidants, vitamins, minerals and fish oil to assist in promoting bladder health. This dry food has been specifically prepared to dissolve struvites and calcium oxalate crystals that can eliminate bladder issues in felines. Hill’s Prescription Diet c/d Multicare Feline Stress Urinary Care Chicken Dry Food assists cats in prevention of urinary care problems by providing nutritional management for cats with three most common causes of Feline Lower Urinary Care Disease encompassing FIC, struvite uroliths, and calcium oxalate uroliths. Australia free ads for Pets, Sydney, Pets free ads Sydney, Pets for sale Sydney, Pets to buy in Sydney. Find on this page free classifieds for Pets in Sydney. This listing includes classifieds for sale and to buy in Sydney. FREEADSAustralia Sydney offers you a platform to post free advertisements or classifieds for Pets in Sydney. FREEADSAustralia helps you search, find buy, sell, rent or hire in various categories like apartments, goods for sale, local services, cars , jobs and many more in Sydney. If you posted an advertisement in category Pets of FREEADSAustralia Sydney before please use Edit my ads button to change or cancel your ad. Pets Sydney ads Sydney, Pets classifieds Sydney, Pets free ads Sydney, ads for sale Sydney, ads to buy Sydney, FREEADSAustralia. Find here ads for sale, to buy and rent in Sydney. Goods for sale in Sydney, vehicles for sale in Sydney, Sydney real estate for sale, Sydney property for sale, property for rent in Sydney, business ads in Sydney, Sydney business classifieds, services in Sydney, Sydney services ads, jobs in Sydney, pets for sale in Sydney, Sydney dating, Sydney cars for sale.